Bristol Tweet Up: Wednesday 7th September, Goldbrick House, Park Street, Bristol 6pm to 9pm. A chance for Bristol Wedding Suppliers to network and talk Weddings. 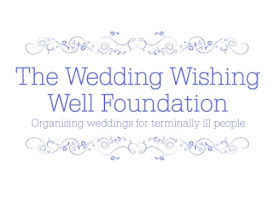 Organised by The Little Wedding Helper, Kirsten Butler. See more about this in a special post on Wednesday. A Brides Affair: Sunday 11th September Combe House, Bridgwater 10am to 3pm. World of Weddings: Sunday 11th September, Holiday Inn Filton, Bristol. Free parking. Free glass of wine or squash for visitors. Brides also receive free free chocolate and wedding magazines. Fashion shows at 12 noon and 14:30. Over 75 stands.